Nowadays, fashion has evolved so much that it is hard not to adopt it. With Bollywood’s famous designers’ chic looks for ethnic wear and the modern Indian woman, silk sarees have again caught our attention. 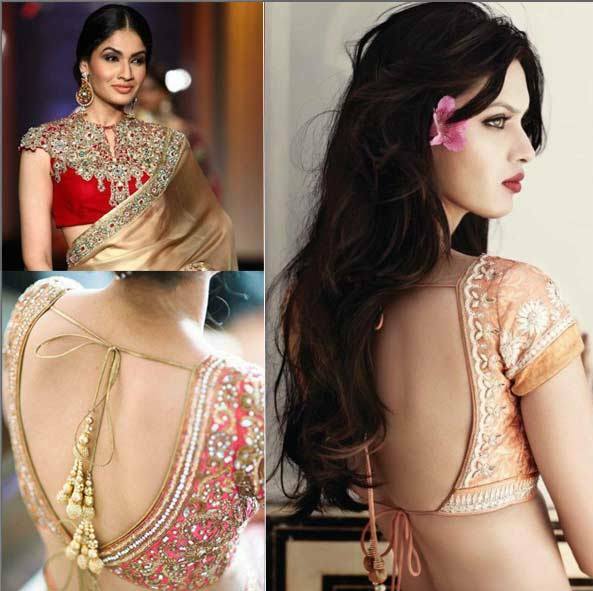 Carrying that plain blouse with your heavy embroidered saree is not just enough because there is a lot more you can do with your blouse now. So, here we have brought to you all the latest blouse designs for silk sarees that you can easily get into your wardrobe for all those special occasions you keep your wardrobe ready for. With the blouse design same as the border’s, you can easily create a trendy look for your silk saree. Not only this, if your saree’s border is of golden color, you can pair up the same blouse with other sarees as well to get a bold look. Get this look of the off-white Banarasi Saree with the collar blouse like Mini Mathur easily now. To pair with your off-white saree or any other plain saree, here we have collar blouse for you, with matching clutch. Get the attention of everyone in the room by pairing up your silk saree with a sequin blouse and a sequin clutch. Such sequin blouses are easily available on many e-shopping websites and boutique. Zari buttas blouse designs are no less than any other blouse deigns for silk saree. 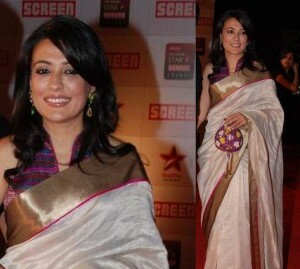 They look very elegant when paired up with a silk saree. You also get to go for bold colors and light colors as well. It’s a must have in your ethnic wear collection. Zari embroidery on bold colored dupion blouse is another way to get an elegant look. The same kind of blouse can be worn with a lehenga also. The Modern Banarasi Blouse with gagra and heavy jewellery is what you need to get the Banarasi look for a special occasion. 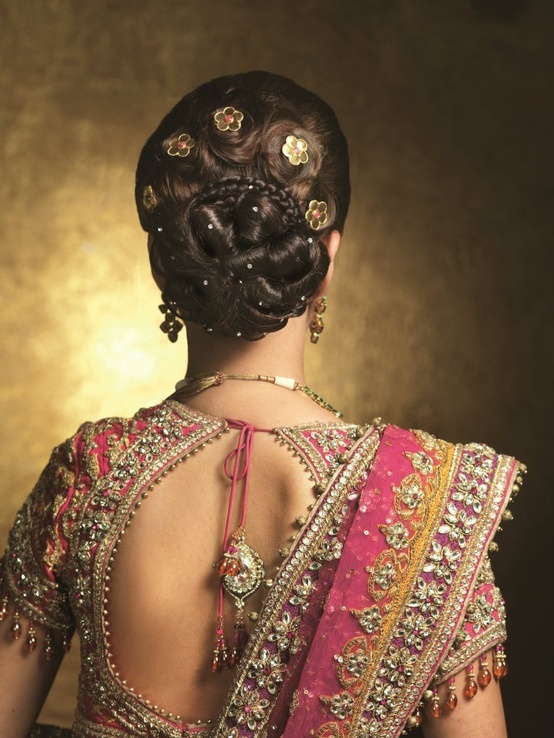 Heavy embroidered blouse with a knot at the back and a heavy bun to get the perfect bridal look. Go backless with net blouse and flaunt your flawless skin. You can get knots at the back and attach your kind of jewellery at the end of the knots that match with your saree to make your blouse more attractive. We hope you liked the article. Do share with your girls and let us know whether you liked the designs or not.